Kris Allen - Her voice was clear and musical, but deeper than woman's wont. I found this on Twitter. 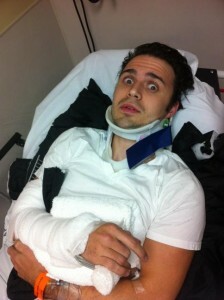 Apparently, Kris Allen's been in a nasty car accident. I can't find any more details yet.